Last May, Paramount issued a June 9, 2017 summer release date for the languishing action sequel World War Z 2, which has been in various stages of development shortly after the original movie debuted in 2013. A number of filmmakers have come and gone, but with nearly 10 months until the planned release date, it seems the studio may have finally found a director. While nothing is set in stone yet, David Fincher is reportedly in talks with the studio to reunite with his longtime collaborator Brad Pitt. Variety reports that Brad Pitt met with a "handful" of directors a few months ago, but the actor/producer is said to be "zeroing in" on David Fincher. The actor and filmmaker have worked together three times before, on 1995's Se7en, 1999's Fight Club and 2008's The Curious Case of Benjamin Button. The site reports that Brad Pitt and David Fincher met about this zombie sequel two weeks ago, and while the director was initially "lukewarm" to the prospect, negotiations are now much more far along. Steven Knight, a writer best known for Eastern Promises, Closed Circuit and Locke, came aboard to write the screenplay last December. The writer revealed earlier this year that the sequel will represent a "clean slate" that will be "completely different" from the first movie. No plot details have been given at this time, and it isn't known how closely it will stick to the original book written by Max Brooks. While no new release date was given, Paramount has long been expected to push the sequel out of its June 9, 2017 date, after they lost director J.A. Bayona. This new report claims the producers are hoping to start filming in early 2017. If the production moves ahead on time, it's possible the studio could be eyeing either a late 2017 date over the holiday season, or perhaps a summer 2018 date. David Fincher hasn't directed a movie since 2014's Gone Girl, but he has been keeping plenty busy on the small screen. We reported shortly after the release of Gone Girl that the filmmaker would be directing every episode of HBO's new series Utopia, which the filmmaker said would keep him busy throughout all of 2015. He also recently directed the pilot episode of Netflix's Mindhunter, which stars Jonathan Groff. The director almost teamed up with Brad Pitt on 20,000 Leagues Under the Sea, but that never materialized. We'll be sure to keep you posted with more on World War Z 2 as soon as more details surface. World War Z 2 Working Title, Start Date and Locations Revealed? 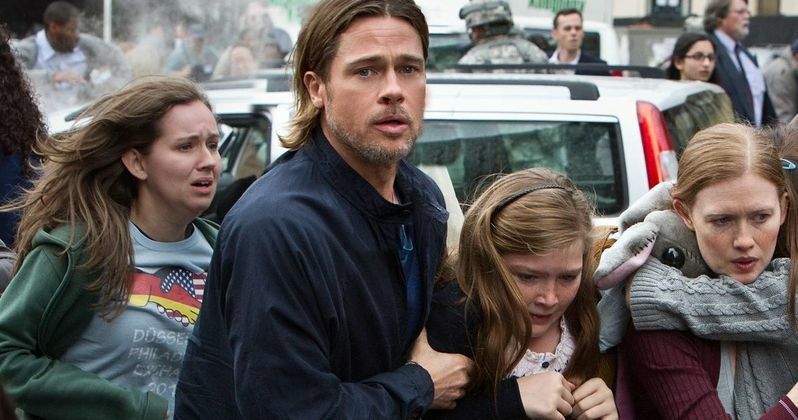 World War Z 2 Production Delayed Again, Will We Ever See It?